"The Last Kingdom" is BBC America’s answer to “Vikings” and “Game of Thrones”, an ambitious action-adventure series based on Bernard Cornwell’s extensive tome of novels. The series reached its fifth episode last week and it was a strong installment, fraught with tense showdowns and testy loyalties. The show is zooming through at a steady and progressive pace, whilst maintaining a sense of intense suspense; a sort of dance on knife’s edge. Anything can happen and everything can change in an instant. It’s a motif that costume dramas often bring to bear and a pivotal quality that shakes up the usual safety net that inextricably permeates modern storytelling. For fans used to the constant death shockers that rock “Game of Thrones”, it might not seem as shocking but “The Last Kingdom” has still landed a few jarring departed of its own. In a year that saw “Vikings” creatively surpass “Thrones”, it comes as no surprise that “The Last Kingdom” faces its toughest competitor in the former. History Channel’s “Vikings” is impeccably acted, directed and written with such a brazen abandon that it makes a show about Vikings look easy when it couldn’t be any trickier. For all of its strengths “Last Kingdom” doesn’t have Travis Fimmel’s eccentric Ragnar, Katheryn Winnick’s fearless Lagertha or Linus Roache’s diabolical King Ecbert to shake things up. There is a danger and mystique lurking within those characters and the actors' portrayal, which makes that particular series pulsate with an edge “Last Kingdom” has yet to find. In contrast “Last Kingdom” is a bit more swashbuckling and comically inclined. 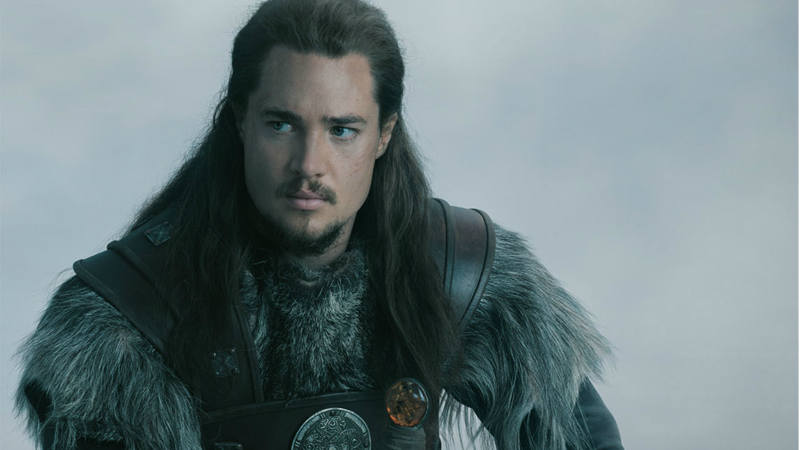 Uhtred (Alexander Dreymon), the series' central character is more Thor than Ragnar, a young arrogant warrior coming of age and making loads of mistakes in the process. Like Ragnar, Uhtred isn’t a character you can blatantly root for and that’s part of what keeps things interesting. Ragnar was a man when “Vikings” began and Uhtred is basically a big kid. Unlike Ragnar, whose identity as a Viking is as integral a fact of his life as his being human, Uhtred’s is mired in uncertainty. He struggles with loyalty to his native people (the Saxons) and the ones who took him captive (the Danes) and whom he considers family. Torn from his original world, it’s next to impossible to reconcile Uhtred’s unconditional love for his “adoptive” father Ragnar (who killed his biological father right in front of his eyes) without chalking it up to a classic case of Stockholm syndrome. It’s the only explanation that keeps Uhtred redeemable and worthy of watching. After surging onto the scene with a stellar pilot, “Kingdom” lost a bit of steam around its second and third episodes before rallying to a pair of back-to-back knockouts. A good sign for any show is when it improves on an episode-to-episode basis and “The Last Kingdom” has more than managed that feat over the last two weeks. So if you are looking for a series to tide you over until “Vikings” sets sail again, this is the show to do it.